The CARD Foundation held their annual Big Sky Bash last Saturday evening. This year’s headliner was rock band, Skid Row. 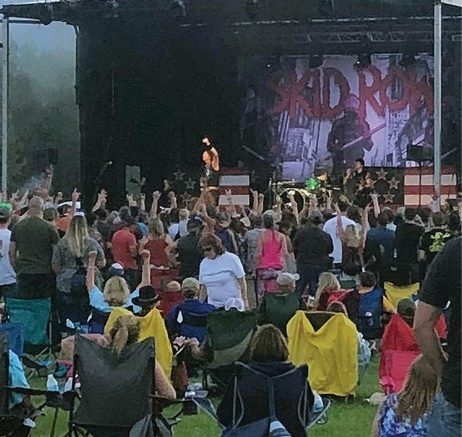 Skid Row was joined by three other bands and the concert, held at J. Neils Park in Libby, lasted from about 6 p.m. until 1 a.m. The Flathead V8s, a rock band from the Kalispell area opened the event. A newly-formed band travelling with Skid Row, Dead Fervor, played next, followed by Skid Row who played for about an hour and a half. The band played their 90s hits 18 & Life, I Remember You, and Youth Gone Wild to a high-energy and enthusiastic crowd. For the afterparty, Sandpoint-based Devon Wade finished out the night with his interactive country and rock covers as well as a few originals. 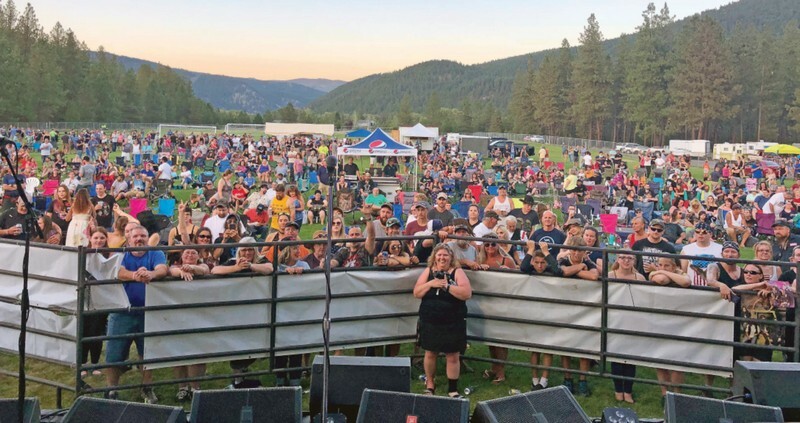 The annual concert event is the CARD Foundation’s largest fundraising effort, and this year, according to Foundation volunteers, it was a big success. The Foundation would like to thank their major donors including A&L Gas, Noble Excavating, and Montana Machine as well as the many other sponsors and volunteers who worked to make this year’s Big Sky Bash a success. 50-50 raffle tickets were sold throughout the evening and a winning ticket was drawn at the close of Skid Row’s performance. Local, Steve Hall was the lucky winner, and he went home with an extra $700 in 50-50 winnings. The CARD Foundation is an independent nonprofit 501c3 organization that was established in 2008. Their mission is to “seek sources of funding to support the goals of the Center for Asbestos Related Disease,” according to their website. The Foundation’s current project is aiding the CARD clinic in development of an engineering design to improve both the slope of the parking lot and drainage of the clinic’s property so that important medical equipment is protected from excess water during wet weather.